Wollaton Park Medical Centre is a 8 partner practice based within the boundaries of the City of Nottingham. 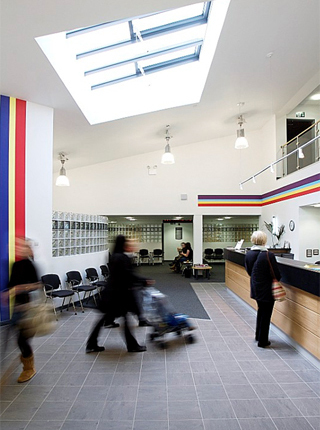 The premises were purpose built in 2007 and we serve approximately 8000 patients. We offer appointments from 7am on Tuesdays and Fridays. These can be booked in advance. Please call reception to enquire. Our phone lines are open daily from 8am to 6.30pm Monday - Friday. Changes to ordering your repeat medications from 1st April 2019. Please see the attached letter or refer to our latest news for information regarding this. CQC gave us an overall rating of good. Please follow the link for more information on CQC and our report. Patient Survey Results 2018 can be found here.